Many Black lives were lost this year due to police brutality and senseless killings of unarmed black men and women. 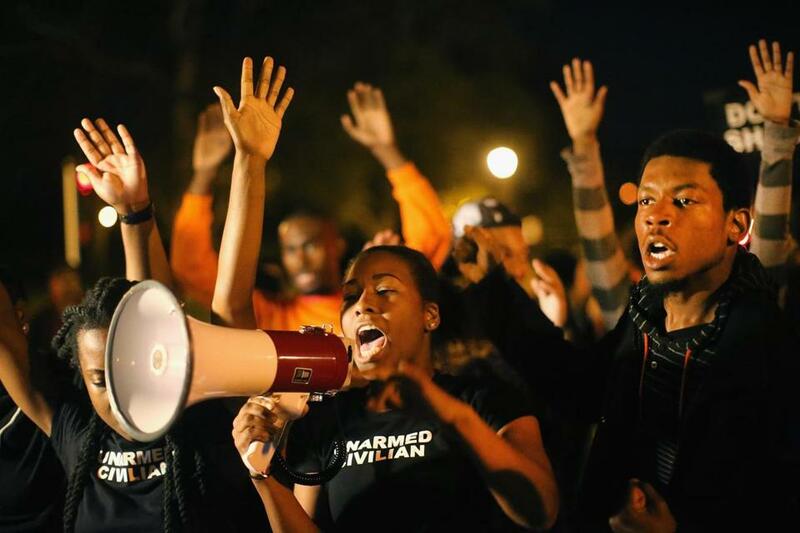 The influential organization Black Lives Matter has campaigned against violence towards African American. The organization regularly organizes protests around the deaths of black citizens killed by law enforcement officers, endured racial profiling or police brutality in the United States. The Black Lives Matter Movement began with the use of the hashtag #BlackLivesMatter on social media sites. The hashtag began after George Zimmerman was found not guilty of killing unarmed black teenager Trayvon Martin. Black Lives Matter became nationally recognized for its street demonstrations following the 2014 deaths of two African Americans: Michael Brown, which resulted in protests and unrest in Ferguson and Eric Garner in New York City. Several other African Americans deaths were protested by the movement this year, including Eric Harris, Walter Scott, Jonathan Ferrell, Sandra Bland, Samuel DuBose, Freddie Gray and Laquan McDonald. Officers described the teen as having a “blank stare and a glazed look in his eyes.” Other officers stated that they “did not see the need to use force against McDonald when they encountered him,” and that he began running away when sirens could be heard. The officer was just released on bail. The officer arrested for the shooting posted bond and was released from jail on Monday, November 30, 2015. Freddie Gray was a black life lost this year. The first trial for the Freddie Gray case was held on just yesterday, November 29th. On April 12, 2015, Freddie Gray, a 25-year-old African-American man, was arrested by the Baltimore Police Department for possessing what the police alleged was an illegal switchblade. While being transported in a police van, Gray fell into a coma and was taken to a trauma center. Gray died on April 19, 2015; his death was ascribed to injuries to his spinal cord. On April 21, 2015, pending an investigation of the incident, six Baltimore police officers were temporarily suspended with pay. The country could not forget two tragedies which occurred within a month of each other. On June 17, nine innocent black lives, including Pastor Clementa C. Pickney, were taken in an act of domestic terrorism at the Emanuel African Methodist Episcopal Church in downtown Charleston, South Carolina. This act seemed to almost set the nation back fifty years to the Civil Rights Movement era, when the destruction of the African American church was the norm. A few weeks later, on July 10, a 28-year-old woman named Sandra Bland was pulled over for a minor traffic violation by state trooper Brian Encinia. He arrested her for not turning on a signal light to switch lanes, which was followed by an escalating conflict, during which he alleged that she had assaulted him and which was recorded by his dash-cam and by a bystander’s cell phone. The officer was placed on administrative duty for failing to follow proper traffic stop procedures. The release of the dash-cam video supports the claim that normal procedures were not followed by the arresting officer. Bland was found hanged in a jail cell in Waller County, Texas, on July 13, 2015. Her death was classified as a suicide by the county coroner, and was followed by protests against her arrest, disputing the cause of death and alleging racial violence against her. These African American depict and represent the black lives lost to excessive force by police. The many unarmed African America citizens killed by law enforcement officers are caught on camera by dash-cams or innocent bystanders. The Black Lives Matter Movement highlights these lives and many others killed annually through demonstrations and police brutality.